A growing body of literature suggests that our financial well-being significantly influences our physical and mental health. Poor “financial health,” a term we don’t usually hear, leaves individuals and families increasingly vulnerable to poor overall health outcomes, increases racial and ethnic health disparities and ultimates threatens the well-being of entire communities and populations. Studies are now showing that supporting financial health could be crucial to addressing the health of certain populations. Financial health includes the amount of savings you have, how much of your income you are spending on regular expenses, and how much you are putting away for retirement. According to recent data, over 50 million U.S. households (44%) would be unable to withstand three months of financial hardship such as a job loss, medical emergency, or other major unexpected expense. In Florida, the income poverty rate is 15.3%, compared to the national rate of 14.5% (Corporation for Enterprise Developm, 2006). In Miami-Dade County 17% of households live in poverty and 59% are considered financially vulnerable, meaning they do not have enough savings to live above the poverty level for three months (Catalyst Miami, 2014). Far too many households are vulnerable to a financial crisis; however, Black and Latino families disproportionately lack financial stability. Professor Henry Louis Gates Jr. recently wrote in the New York Times that “the childhood poverty rate for African-Americans remains close to what it was the day Dr. King was assassinated” (Gates Jr., 2016). Following the recession in 2013, the median net worth of white households was more than 10 times greater than that of African-American or Latino families, suggesting that white families were better able to endure the 2008 economic downturn (Annie E. Casey Foundation, 2016). 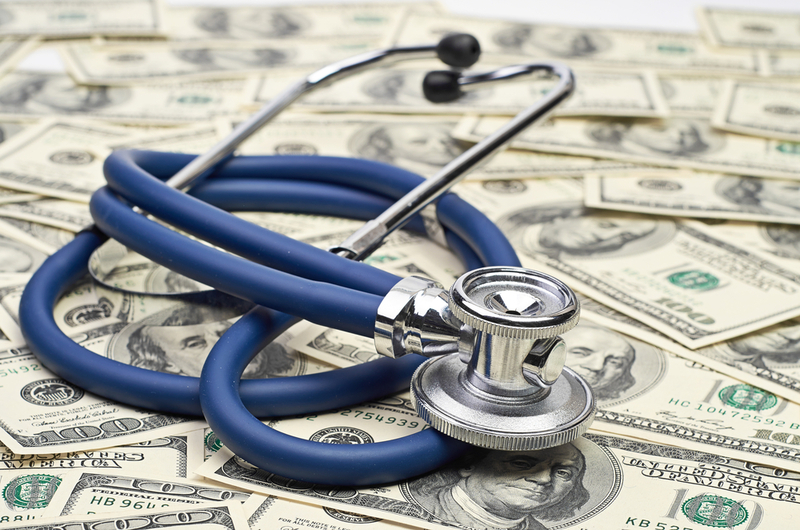 How does financial health influence population health? Poverty is especially devastating to children’s mental and physical health. Studies show that children who grow up in poverty have smaller brain volumes, increased anxiety and depression, lower academic performance, behavioral problems and higher rates of teenage pregnancy. Boys who grow up in poverty in the United States are less likely to to be employed in adulthood than girls from equally disadvantaged backgrounds, thus perpetuating the “feedback loop” (Groetzinger, 2016). A six-year study published in the Journal of Developmental Psychology concluded that conditions inside dilapidated houses and apartments hamper children’s emotional and educational growth. Data drawn from 2,400 children, teens and young adults “found emotional and behavioral symptoms of anxiety, depression, lying and aggressive behavior were closely connected to poor housing quality and the related stress placed on parents, children and families” (Templeton, 2013). Affordable housing may be located in high-crime areas where families live in fear of violence. It should come as no surprise that people residing in high crime neighborhoods are less likely to exercise (Khazan, 2014). There is evidence that the anxiety of living in poverty is a stronger predictor of mental health problems than going to war (Khazan, 2014). What can we do to support financial and physical health? Whether it is due to exposure to pollution-poisoned water or continuous community violence, those in poor financial circumstances often cannot hold on to good health without collaborative and innovative interventions. Public health should work collaboratively wth partners in the financial services sector to identify opportunities to simultaneously improve both physical and financial health. For example, health care and mental health providers can screen for financial risk and refer patients to social services may help identify those most in need and develop a realistic treatment plan (Patricia Czapp). Annie E. Casey Foundation. (2016, January 20). Investing in Tomorrow: Helping Families Build Savings and Assets. Catalyst Miami. (2014). Financial Insecurity in Miami: A Data Profile. Corporation for Enterprise Developm. (2006). Assets & Opportunity Scorecard. Washington , D.C., United States of America. Gates Jr., H. L. (2016, February 1). Black America and the Class Divide. The New York Times. Groetzinger, K. (2016, February 3). LOST BOYS Research says a reverse gender gap exists for kids who grow up in poverty. Quarts. Khazan, O. (2014, May 21). How Being Poor Makes You Sick. The Atlantic. O’Brien, R. a. (2015). Medicaid and Intergenerational Economic Mobility. April, Institute for Research and Poverty. Philanthropy News Digest. (2016, February 5). Study Ranks U.S. Last Among Wealthy Countries on Poverty, Inequality. Templeton, D. (2013, November 24). Evidence mounting that poverty causes lasting physical and mental health problems for children. Pittsburgh Post-Gazette.